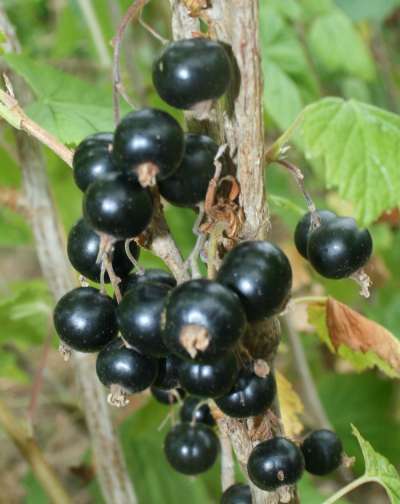 A popular variety on the continent, this is a stong growing bushy variety with relatively large dusky black circular fruits which are full of juice. Very frost tolerant. Plant 6' apart.